How do I add an alert? 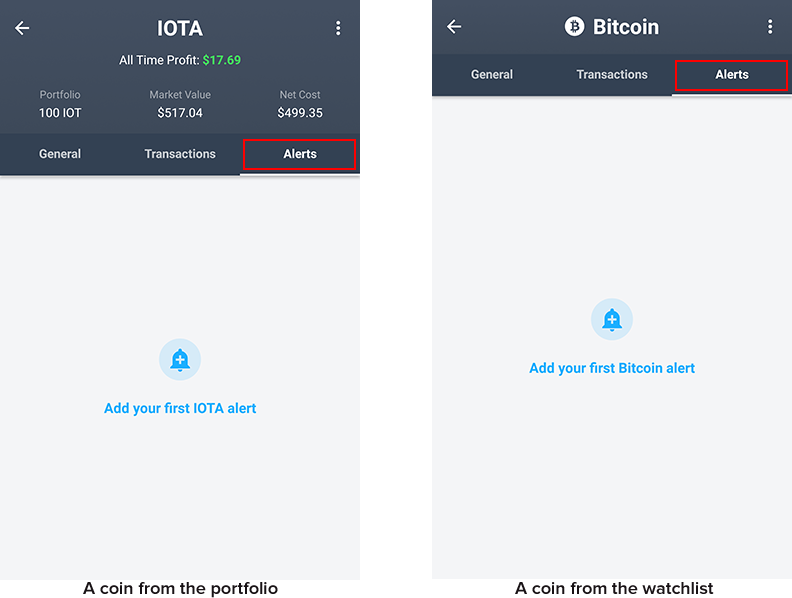 Alerts notify you when the price of a certain coin reaches the value specified by you. Check here to know how to do so. 1. Open the coin page from the Portfolio or Watchlist. 2. Swipe left (or tap on 'Alerts') to open the alerts tab as shown below. 3. Tap on the bell icon (it'll be in the bottom right if this is not your first alert for the coin) to open the 'Add alert' page. 4. You can add two kinds of alerts. One-off: If the alert condition is met, you will be notified once and the alert will turn off. Repeating: If the alert condition is met, you will be notified every hour as long as the alert condition is still met. 5. Select an exchange and trading pair and the price you would like to be alerted at. You can enter a value less than the current worth for a 'lower than' alert and a value higher than the current worth for a 'greater than' alert. 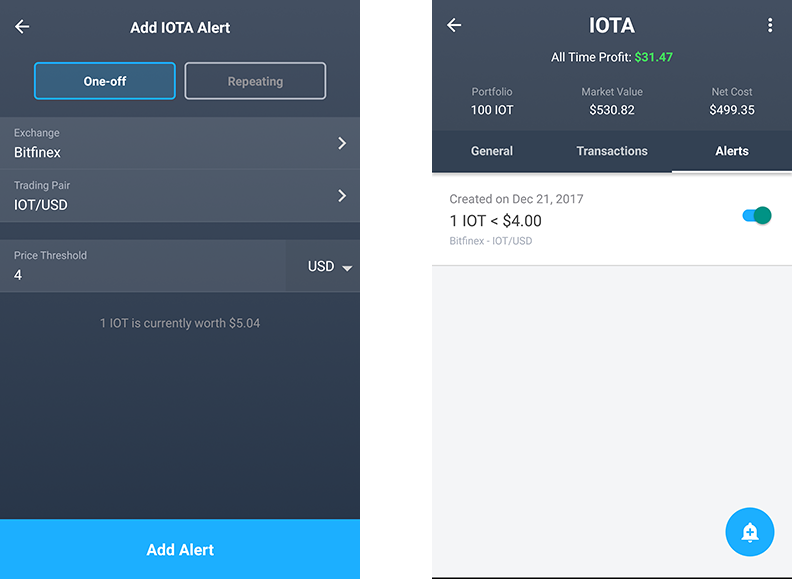 You can select to be alerted in the base pair selected (like IOT/BTC) or USD value. 6. Tap the 'Add Alert' button to add and turn on your alert. You can manually turn off the alert by using the toggle switch on the right of each alert.